Sefunot: annual for research on the Jewish communities in the East. Vol. five. (Isaiah Sonne memorial volume.) 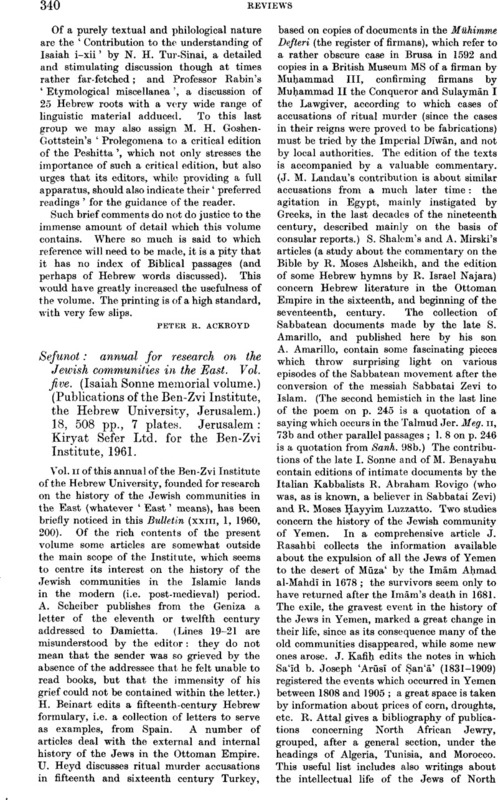 (Publications of the Ben-Zvi Institute, the Hebrew University, Jerusalem.) 18, 508 pp., 7 plates. Jerusalem: Kiryat Sefer Ltd. for the Ben-Zvi Institute, 1961.